Rest in Peace Brother. Bless you, your family and your Department. Rest easy brother, we’ll hold the line from here. Rest In Peace brother. Your service is not forgotten. 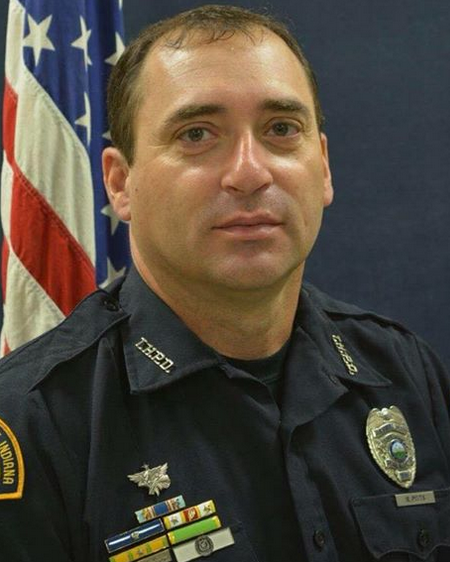 On behalf of the Zone Five Regional Law Enforcement Training Academy, we send our deepest condolences to the friends and family of Officer Pitts. God Bless. Prayers and condolences for the family, friends and agency. Rest In Peace brother, and god bless your family and loved ones. A police officer should be remembered not by how he died, but how he lived! A great man has gone to secure a safe path for the rest of us to follow. Thank you to you, your family and the Terre Haute Police Department. Our country is a little less safe without you. Rest in Peace Brother. Officer Pitts, Thank you Sir for your selfless sacrifice and dedication to public service. You are a true American Hero . Rest In Peace brother, we’ll carry on the fight from here. Rest In Peace Brother. I pray that God gives tour family peace and comfort and strength. Thanks to all who put their lives on the line to protect us. God bless and you will always be in our hearts. Godspeed and Rest In Peace Brother.